While you may have heard some buzz about the Greater Youngstown Italian Fest festival you will want to read some of the facts that make it one of the most loved events in the greatest city in the nation! Read below for the top 8 reasons you don’t want to miss out on the fun and excitement at this great event! One of the largest Italian-American celebrations between Chicago and New York City. The Greater Youngstown Italian Fest has been ongoing for the last 28 years. We celebrate our Italian-American heritage with the whole community. 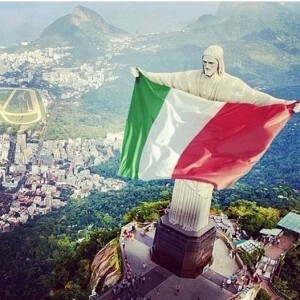 Because after all at least for one day, everyone is Italian! The 2014 Greater Youngstown Italian Fest will be held August 1-3. Central Square downtown Youngstown, Ohio. Under 18 not permitted unless accompanied by an parent. -W. Federal and Phelps St.
-Wick Ave. and Commerce St.
-Market St. and Boardman St.
-E. Federal and Champion St. The Greater Youngstown Italian Fest is an annual event in downtown Youngstown, hosted by the Italian Heritage Foundation of Youngstown, Inc. The fest is a family-oriented event that offers a taste of the Italian heritage through performances by international recording artists, delicious food offered by the area’s finest vendors and restaurants, Italian games and more. Top 5 events to see at the festival: Top Italian entertainers, Delicious foods, rides and games,morra tournament, etc.